Mark and Steven Erickson have done it again. 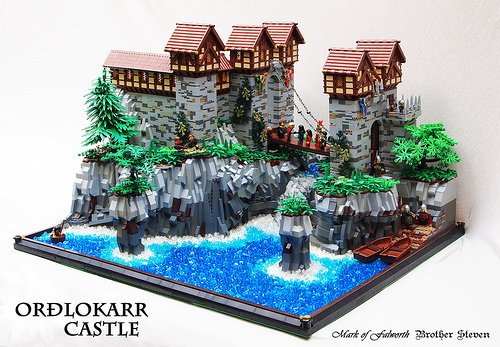 This castle is gorgeous…truly a piece of art. I love how each feature is seamlessly integrated in the an outstanding whole. Rockwork, mottled walls, foliage and figs are all crafted into a spectacular sum that is greater than its parts. Just beautiful. The landscaping around the castle is fantastic.